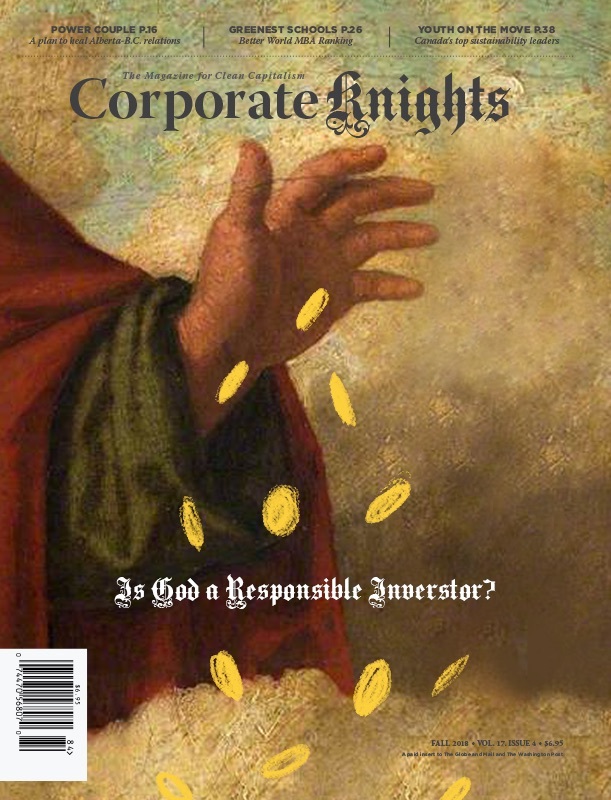 A recent letter to Corporate Knights declared that “profits should be the sole objective of corporations, a principle which has been upheld throughout history.” Any other consideration just muddies the waters, it implied. This view, once ubiquitous, is being increasingly challenged by central bankers, investors worried about long-term risk exposure, a restless general public and governments straining under the pressures of growing inequality. And by corporations themselves. Even in the heart of Wall Street, the world’s largest investment firm (with US$6.3 trillion under management) recently sent a letter addressed to the CEOs of each corporation it invests in, encouraging them to make smarter business decisions. This includes everything from skyrocketing CEO pay to water scarcity to the careful reconsideration of corporate supply chains. Concerns raised by activists and civil society about modern-day slavery have led to regulations such as California’s 2010 Transparency in Supply Chains Act, pushing firms to begin launching corporate-led initiatives of their own (see here for more). But it’s not only the largest companies in the world that have an impact on society – it’s small and medium-sized enterprises (SMEs) as well. Beyond employing the vast majority of Canadians in the private sector, they’re also responsible for almost one-third of the country’s GDP. SMEs will be front and centre if Canada is going to successfully transition to a more prosperous, low-carbon society, but the challenges faced by the sector are unique. Corporate Knights is now in our fifth year of measuring the country’s medium-sized enterprises through our Future 40 Responsible Corporate Leaders in Canada ranking, and decided to narrow the scope of eligible companies to ensure a level playing field. Private or publicly listed companies headquartered in Canada with revenue of under $1 billion will now be considered, down from $2 billion last year. Companies impacted by this change will be eligible for the 2018 Best 50 Corporate Citizens in Canada ranking, scheduled to be released on June 8. This year’s top company in the Future 40 ranking is the Saskatchewan Research Council, a provincial treasury board crown corporation that conducts applied research, development, demonstration and technology commercialization (see profile here). It is followed closely by the Canadian Broadcasting Corporation, a demonstrated leader in board and management diversity. London Hydro came in third, followed by First Capital Realty and Investissement Québec. Corporations headquartered in five of Canada’s provinces made the list this year, largely hailing from the population centres of Ontario, Québec, Alberta and British Columbia.